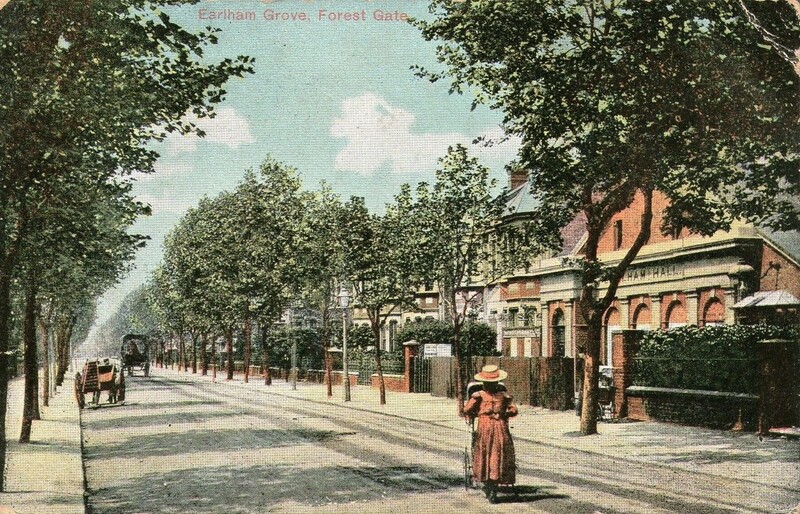 This is the fifth in an occasional series of articles by Forest Gate resident, Peter Williams, who specialises in Newham housing, maps and local history. 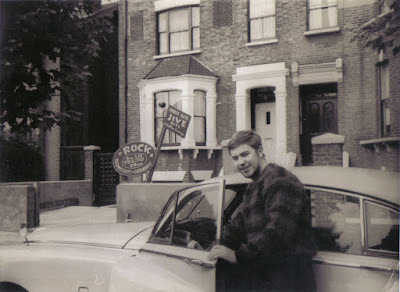 In each he looks, in detail, at the history of particular streets in Forest Gate. 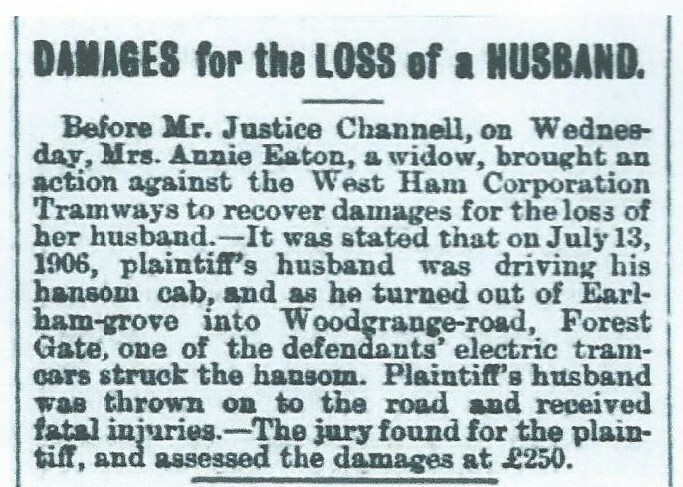 Peter has complemented his own knowledge by accessing the increasingly digitised national newspapers' collection - which can be found here- and has added extracts from this that refer specifically to Earlham Grove. Earlham Grove is named after Earlham Hall, near Norwich, seat of the Gurney family; now part of the University of East Anglia. The Gurney family was a major landlord in Forest Gate in mid Victorian times and with other Quaker families, like the Frys (of chocolate and prison reform fame) and Barclays, were merchants and bankers in the City of London. 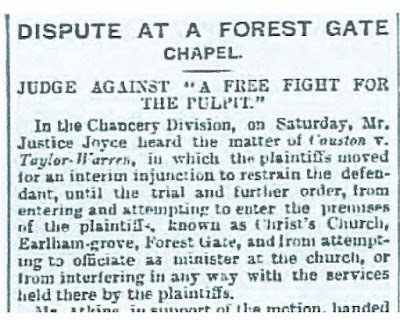 As we have shown in previous posts, Samuel Gurney, perhaps the most famous of the family, owned up to half the land that constitutes Forest Gate. 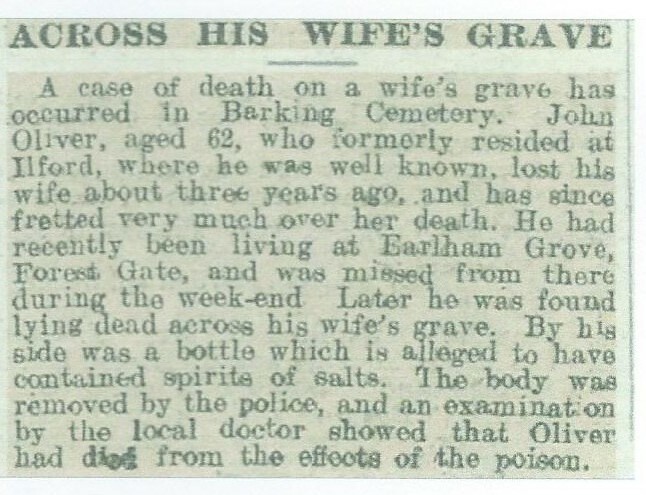 He lived in what is now West Ham Park, until his death in 1865.
where Earlham Grove would soon be built. 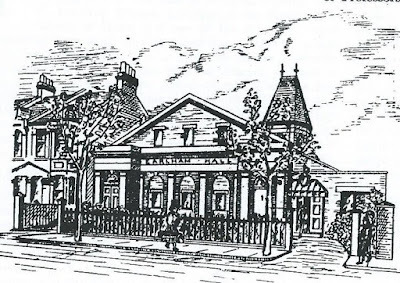 The Great Eastern Railway was built in the 1830s opening the Forest Gate area up to development. Work on the Woodgrange estate started in the late 1860s. Earlham Grove started a little later. The houses are larger than the typical terraces developed by speculative builders for the army of clerks in the City of London in the later nineteenth century. They were more like what the Victorians and Edwardians called villas – for the better off middle classes; solicitors; business people. 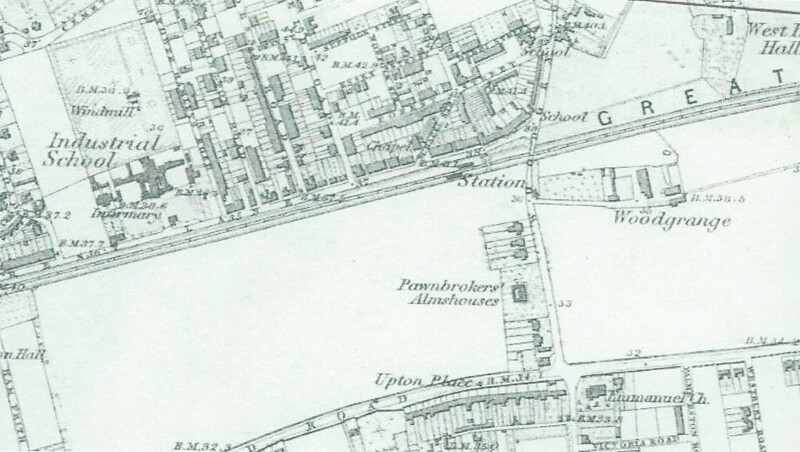 On the map, above, the Almshouses have gone, and in this 30 year period between the publication of the two maps hundreds of houses were built, including Hamfrith, Atherton, Norwich, Sprowston, and Clova Roads, and Earlham Grove, which were part of the Gurney estate (c. 1870–90), on the north side of Romford Road. These houses, many of which survive, include detached, semi-detached, and terraced types. 16 Ex Jewish refugee hostel. With the rise of Hitler to power in the 1930's, many Germany Jews sought refuge elsewhere in Europe, mainly within existing Jewish communities. Forest Gate played its part. 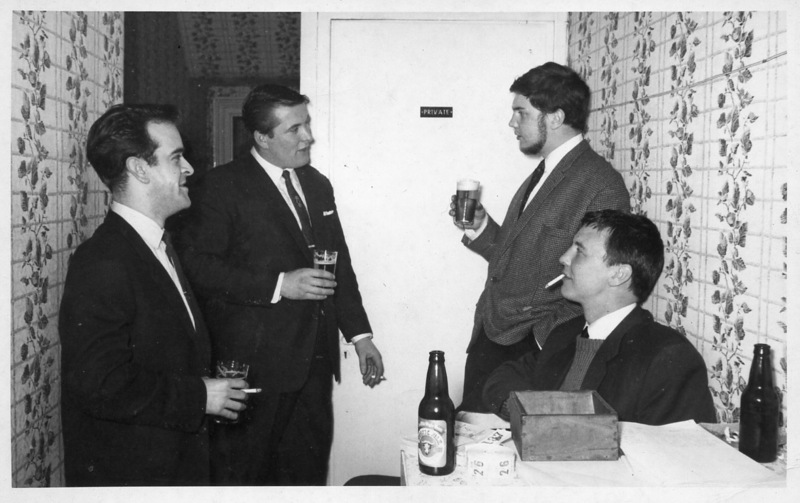 A hostel was opened at 51a Romford Road, which accommodated 20 people. 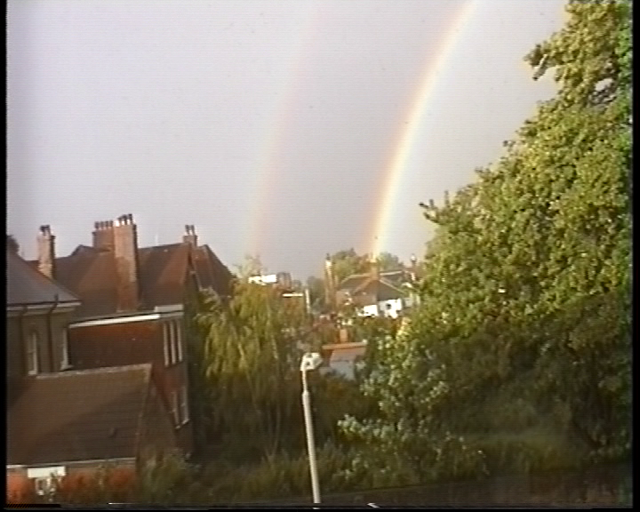 This later moved to 16 Earlham Grove. It was supported financially by the Earlham Grove synagogue (see below). Other families within the local community took in refuges who could not be accommodated there. 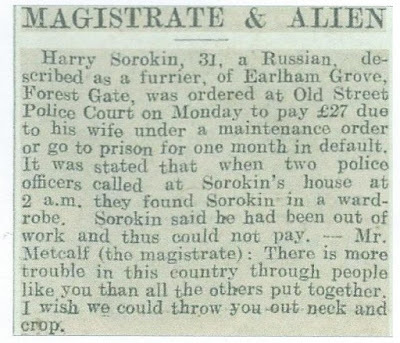 The article below, from 1933, suggests that Forest Gate may not have been the anti-semitic haven that those fleeing persecution from Nazi Germany many have hoped for. 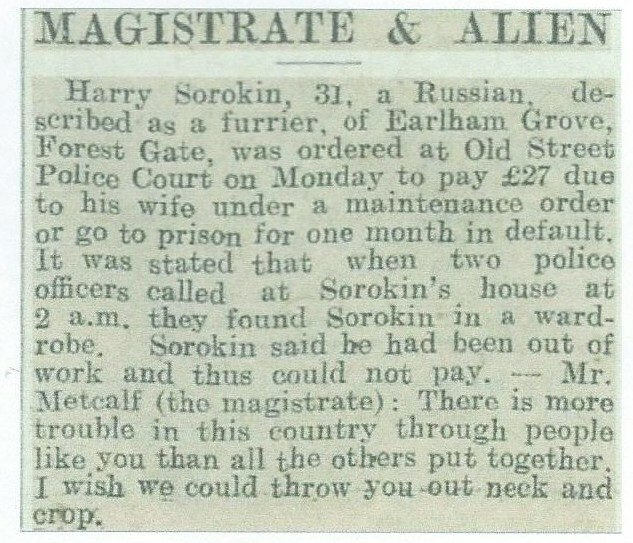 A magistrate, in 1933, telling a clearly Jewish immigrant from Earlham Grove that: "There's more trouble in this country through people like you than all the others put together. I wish we could throw you out neck and crop". 93 - 95 Formerly West Ham Synagogue and Shul (1897 - 2004). See here for a post on the 20th century Jewish community of Forest Gate, whose focal point was this building. 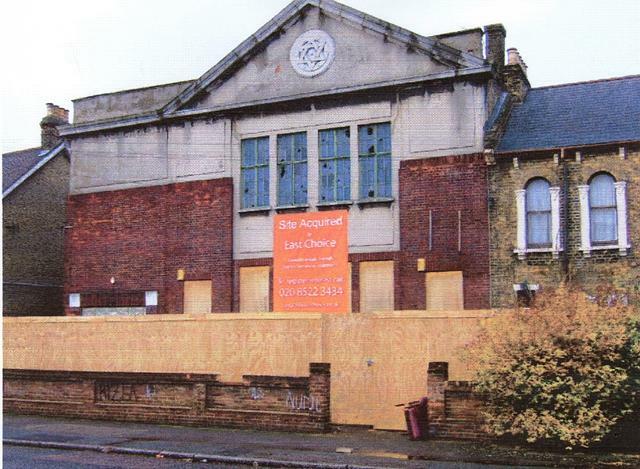 It was the first synagogue in Essex and became the strongest in Newham. The foundation stone of the building in the photo was laid in 1910. The site is now a four-storey block of flats called Adler Court - named after a prominent rabbi at the former synagogue - owned by East Thames Housing Association. 128 Earlham Grove - A house, whose occupant, Francis John Fitzgerald, hosted a quite remarkable event in the struggle for Irish independence in 1921. 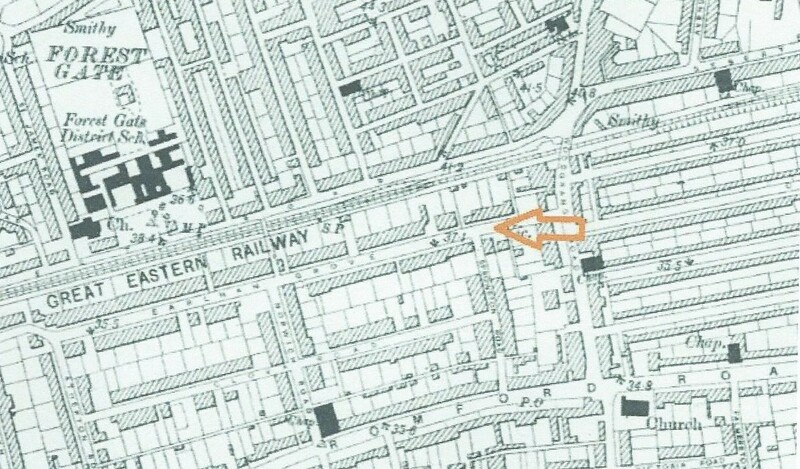 We will outline some extraordinary Forest Gate connections with the birth of the Irish Free State in the next blog on this site. Watch this space! 136 - Site of the Community Garden was occupied until a few years ago by a very large detached Victorian villa. Originally it had been a doctor’s surgery. 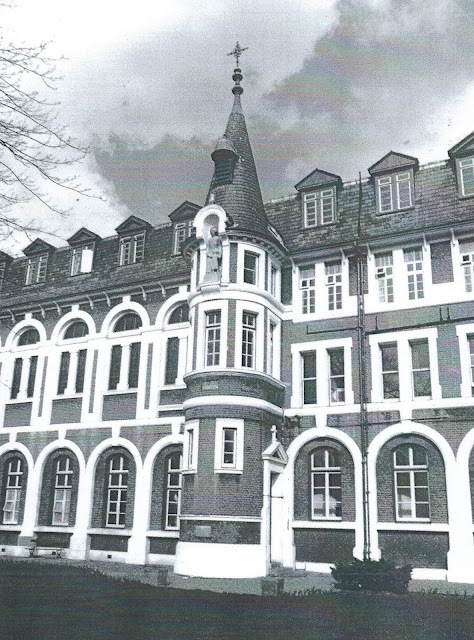 It was converted to a hostel for homeless families, probably in the 1980s, and was known as Earlham Lodge. It was run by Newham Housing Department. There was no resident warden, but a mobile member of staff looked after a number of Housing Department hostels. There were 9 rooms of different sizes and it was targeted at small families such as a single parent with a young baby. Families typically stayed there for a few months before moving onto another form of homeless temporary accommodation. They were given a licence agreement, not a tenancy. Bathrooms were shared and each room had basic cooking facilities Following a review in the mid 2000's, the Housing Department decided to close its directly managed hostels. The site is still owned by Newham Council who hope for a housing development on the site in the longer term, but meanwhile, have given the Community Garden a short-term lease, so that it can be used as a community facility rather than remain an unsightly piece of waste land. There continue to be a number of other large houses in the Earlham Grove that are used for some form of supported housing for vulnerable people including children’s homes, homeless hostels, cheap B&Bs and accommodation for people with learning disabilities. 175 Built as Earlham Hall in the 1870s, for full details, see here. Briefly, it was established in 1879 by John Curwen, the Congregational minister, for his Tonic-Sol-Fa College. The Metropolitan Academy of Music followed on from 1906 until World War II, and then London Co-operative offices preceded the arrival of the Cherubim and Seraphim congregation in the 1970s. It is still occupied by the church. Now The Holy Order of the Cherubim and Seraphim Church has its UK headquarters there. 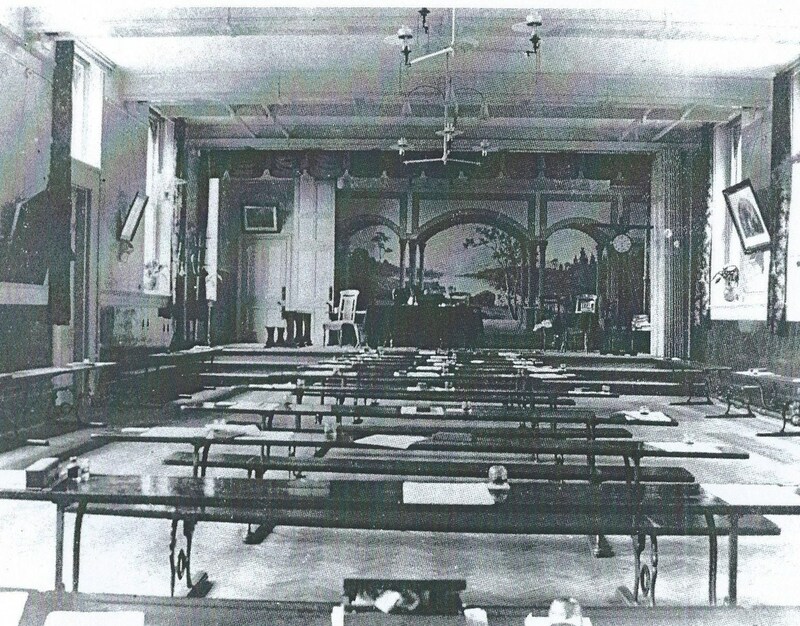 Arriving in the 1970s it is one of the earliest African congregations to settle in Newham. 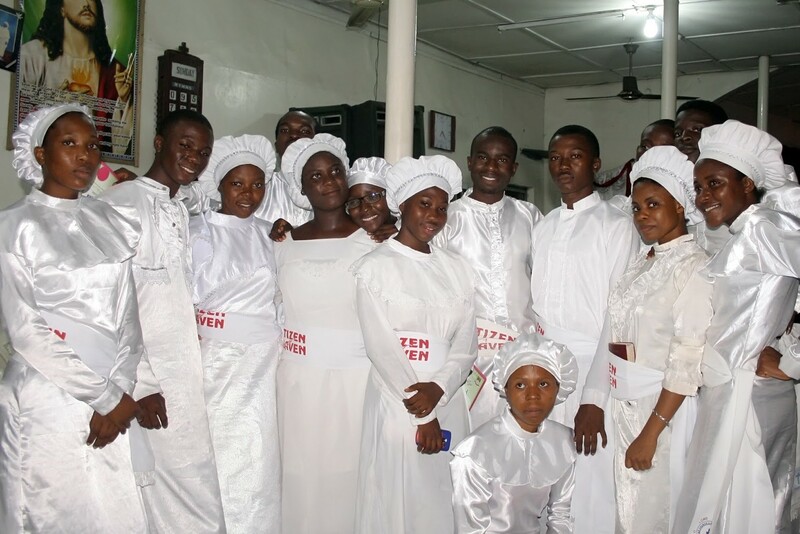 As the first African instituted church, it was originally established among the Yoruba people in Western Nigeria in 1925. The 'Aladura', or African indigenous tradition, combines teaching and practices learned from western missionaries with elements of traditional African traditions. In Forest Gate the church is led by Pastors and Apostles, worships in distinctive white robes and emphasises prayer-including night vigils. Behind the church you can see is an older building the Tonic Sol Fa college, where this system of musical notation was taught. 193 - The Jive Dive. Kenny Johnson, who went on to successfully manage the Lotus Club on Woodgrange Road for over 40 years, began life as an impresario here. In 1960 he took over what had previously been the Earlham Grove Dance Academy (next door but one to the Royal Mail sorting office) and turned it into a pop music venue. See here for further details. The Jive Dive originally opened as a coffee bar, but soon obtained an alcohol license. The ground floor was converted into a bar, and the basement a dance hall. It was imaginatively decorated, for the time - with bamboo partitions, film and gig posters on the walls and with plants, real and artificial, adorning key areas. The Jive Dive seemed to fulfill a real need in young people; it was the time of the 'mod', and young East Enders were, in those days, the most fashion conscious in the world; rendezvousing in Forest Gate every weekend and going to our club, they would have a few drinks and then dance their socks off in the basement. There was no trouble and the customers were a lovely crowd. The venue proved a great success, but the resultant crowds were understandably less popular with the residential neighbours, and so the brothers closed it as a venue and looked elsewhere for music promotional opportunities. They took on the floor space above what is now the Poundland and the Lotus Club, on Woodgrange Road was born. 193 Earlham Grove is now a house in multiple occupation. Durning Hall Christian community centre replaced an earlier Durning Hall, founded about 1885 at Limehouse (see here for fuller details). The premises in Woodgrange Road were registered for worship in 1953 (what is now the Aston Mansfield charity shop) and in 1959 the main buildings of the centre were opened in Earlham Grove, containing a church, hall, offices, gymnasium, and chaplain's flat. A hostel, with shops below, was later completed on the Woodgrange Road frontage. Durning Hall, which is non-denominational, is administered by the Aston Mansfield charities trust, founded in 1930 by Miss Theodora Durning-Lawrence. It caters for all age-groups. The church of the Holy Carpenter, designed by Shingler and Risden Associates, has a fine altar wall of stained glass. 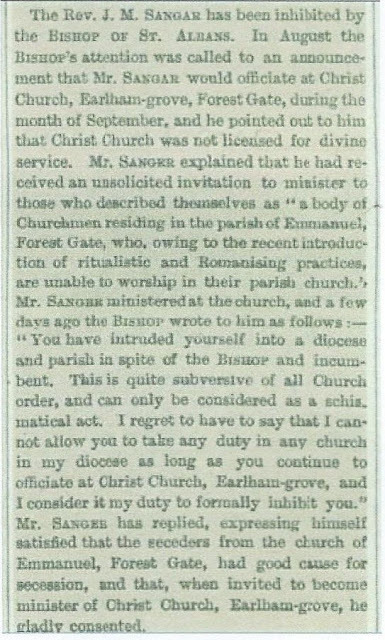 In the 1890s there was a strange bit of church history when some people from Emmanuel parish church (corner of Romford Rd and Upton Lane) started a rival church in Earlham Grove called Christ Church, because they felt the services at Emmanuel were becoming 'too Roman'. A small (corrugated) iron building had been erected, seating about 200 and continued until at least 1903, see cutting, below. 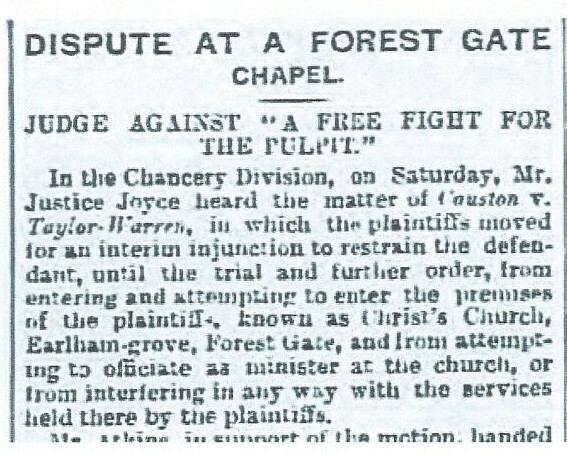 Rivalry between the two places of worship ended up in a court case in 1903 (see cutting, below), where the parties promised to behave, or the police would be called! 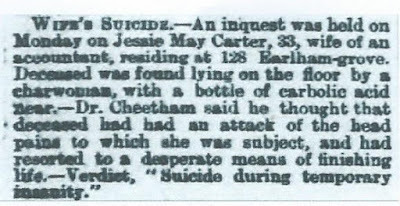 Other press cuttings (below) show a slightly more tragic side of life for some Earlham Grove residents. 3. An air accident death for an Earlham Grove resident, and early member of the RAF. N.B. initials in article below: RFC = Royal Flying Corps (a fore-runner of RAF) and HAC = Honourable Artillery Company. Two of the biggest bombing hits in Forest Gate during World War 2 fell on Earlham Grove. See here for full details. 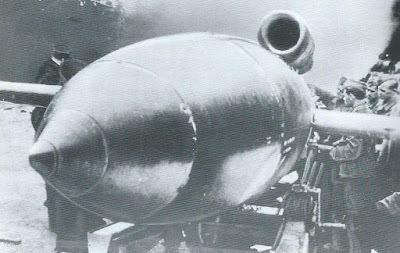 Nineteen people were killed on 6 March 1945, by a Doodlebug when nos 56 - 62 were destroyed. Ten people were killed just six months previously, when a bomb destroyed numbers 3 - 7. See link, above, for all the names of those reported killed by those bombings. Forest Gate's growing mid-nineteenth century population was added to by an influx of Irish economic refugees, fleeing the potato famine (see here for examples). 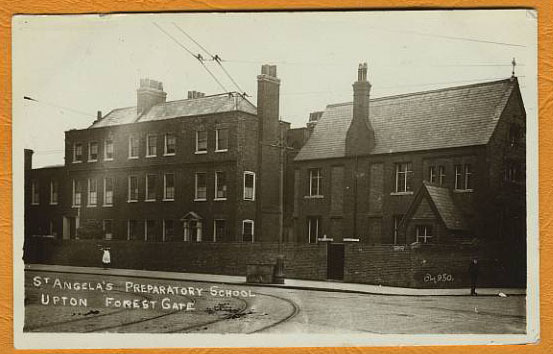 The then Strafford Catholic priest, James McCoin was on the look-out for help in educating Catholic children, as a counterweight to the CofE and Non-Conformist education provided by local charity schools (see here, for details of these schools and early formal education in Forest Gate). In February 1862 he invited a party of four Ursuline nuns from Belgium to visit the Upton area (the more developed part of Forest Gate, at this time). 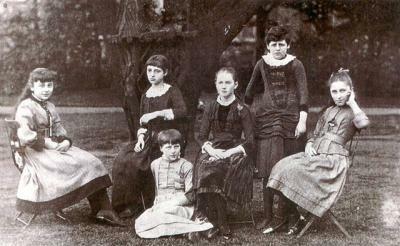 The Ursuline order was one largely committed to education and had been seeking a base in England for at least a decade. They had previously sought bases elsewhere, including in Walthamstow - but to no avail. Following their visit to Forest Gate, they acquired a semi-detached house with a large garden in Upton Lane, then described as "in the country village of Upton". They bought the adjoining house the following year, which together, in the St Angela's story, became known as "The Old House". The pair of these houses appears to have been built almost two centuries earlier, in 1684, although few details of their earlier history seem to remain. Unfortunately, neither does there appear to be any surviving images of the properties, prior to very extensive later alterations by the Ursulines. The houses were, initially, to be the nuns' convent. The four original nuns were soon joined by four more. On 28 May 1862 Mother Agatha and Mother Victoire began to teach in two cottages in Sun Row, as Green Street was known. 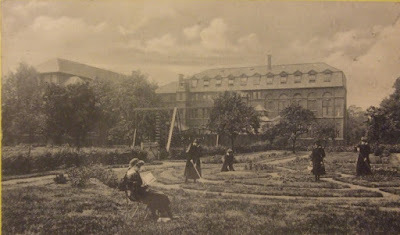 The following year the nuns had the stables in the convent converted into a school - a big improvement on Sun Row - and moved the teaching there. The nuns continued to commission building in 1872. The first wing included a study hall (later library) - see photo, with classrooms and a dormitory above. Boarders moved in, leaving the dozen or so day pupils in The Old House. In 1874 Mass began to be said in the school, thus saving the local faithful a weekly trip to Stratford - and continued until the church of St Antony's was built a short distance down the road in Upton. 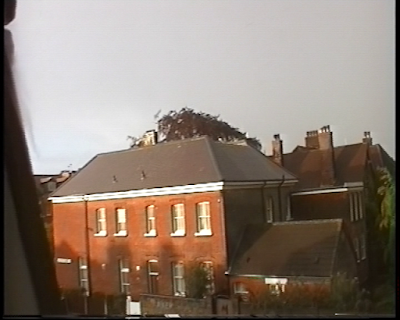 In 1882 a new wing was started at St Angela's and included a chapel and more classrooms. 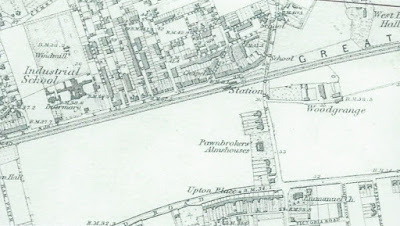 As an aside, it is quite remarkable how an area such as Upton, for so long a home to wealthy Quakers (the Fothergills, Frys, Gurneys, Pellys, Listers etc - see later posts for details and their full widespread impact), within two decades had become the centre of a thriving Catholic community - spawning two schools, a convent and a church. This small strip of land provides, in microcosm, the traditional role of the East End: a host to successive waves of immigrants and other outsiders, with one community - usually seamlessly and peacefully - replacing another. The "displaced" communities, typically, move on, usually in a diversified way, to more established and often more affluent areas elsewhere. My first sight of Forest Gate was when the train drew up at a wooden platform, backed by a hedge, which displayed a placard: 'Forest Gate'. There was nothing to be seen but trees and a country road. Only one house did we pass on the way to the convent, and everything was still and silent. The school building, itself, was homelike ... there was nothing but a notice-board to indicate it was a school. The school soon became a success - by 1893 it had a roll of 229 - which was quickly replicated elsewhere. 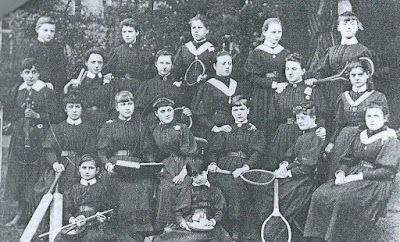 So, in 1892, four of its nuns moved to Wimbledon to establish a school there, and in 1899 the convent took charge of the parish school of SS Peter and Paul in Ilford for a decade or so, and supplied nun/teachers to it for almost half a century. The Upton convent spawned another successful school in Brentwood in 1910 and others followed in Billericay, Palmers Green and Becontree. Success for St Angela's meant growth, locally, too. By 1899 it had grown further and took possession of another wing in St George's Road. Upton had a reputation for hosting fine gardens. Dr Fothergill's house (which later became West Ham Park - see later posts) being the most prominent. 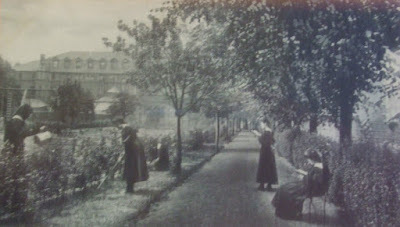 The convent, too, was noted for the splendour of its gardens. 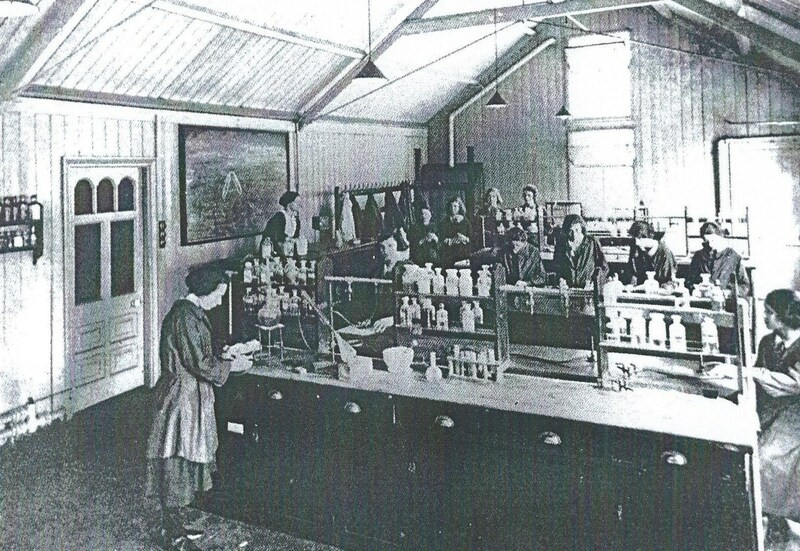 The twentieth century continued to see growth and change for St Angela's. 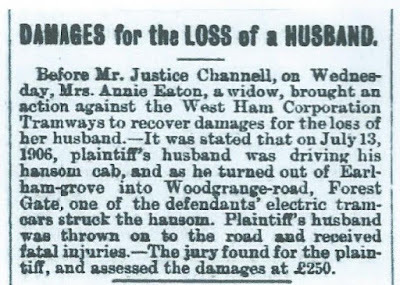 It appointed its first secular mistress - Miss Harrington - in 1903. The following year it became one of the first Roman Catholic schools in the country to gain recognition from the government's Board of Education. By 1921 the school had 700 pupils, when Mother Xavier, who first became headmistress in 1878, retired. 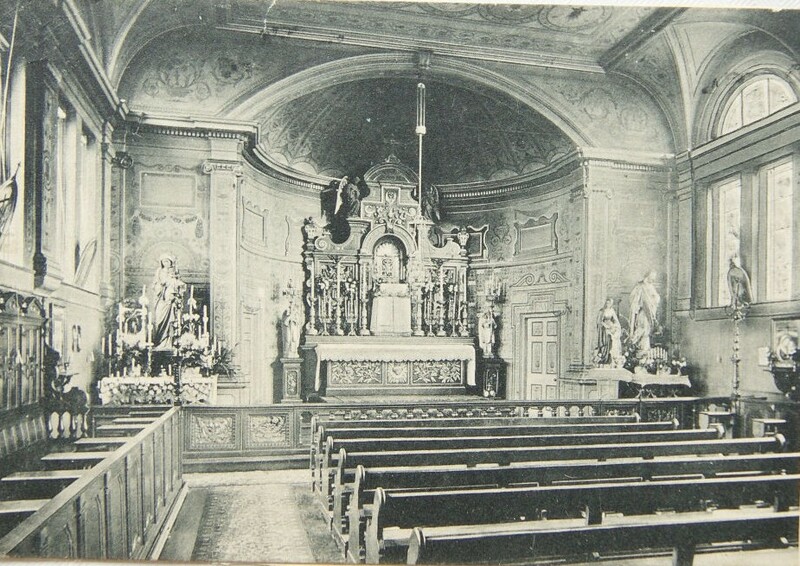 Four years later the Rosary Chapel was built "in thanksgiving for protection in the world war". The boarding system was phased out from 1931 and the dormitories were converted to general school use and a dormitory for the sisters. 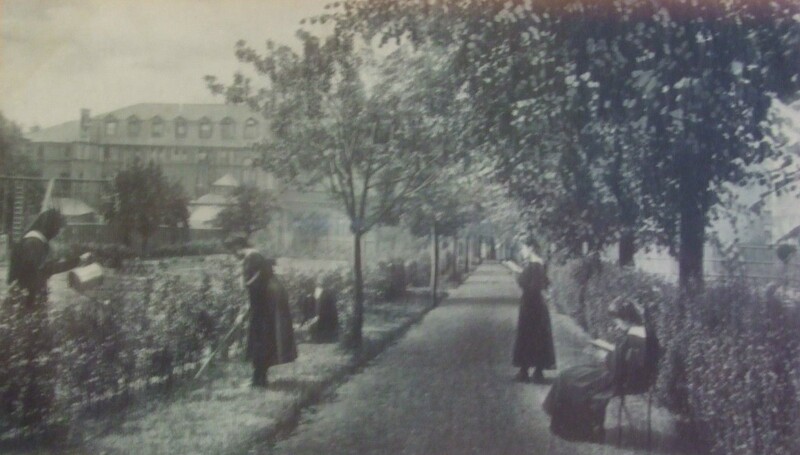 Internal reforms within the Catholic church soon saw the convent's novice nuns being transferred to Westgate-on-Sea and the convent itself began sending out - and receiving - missionaries from Africa, Asia and South America. With the onset of the second world war, the school and its pupils were evacuated to Thetford in Norfolk and Newquay in Cornwall and the "Old House" was used as a public shelter for local people during the hostilities. The 1944 Education Act meant big changes for the school; in conjunction with West and East Ham councils, it set about doubling its size. It became truly comprehensive for the first time (a status that was not officially confirmed until 1976) and attracted pupils from over 20 Catholic parishes, in the wider East London area. With this growth, support and recognition came a greater "professionalism" of teaching at the school. 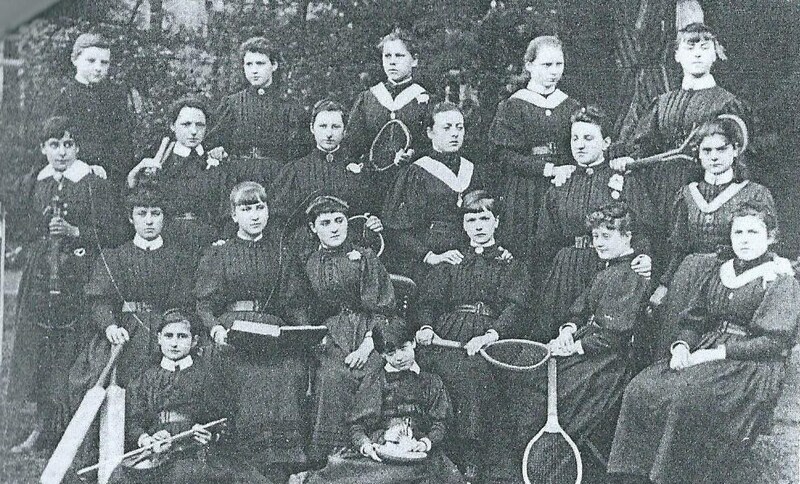 The number of sisters who taught there declined considerably - to be replaced by lay qualified teachers, although nuns continued to hold non teaching roles in both the school and wider community. By 1980 there were only about 20 nun/teachers at St Angela's. On 16 March 1982 a fire swept the sisters' dormitory quarters on a day when the girls, or "Brownies" (so called because of the colour of their uniforms) were not present. 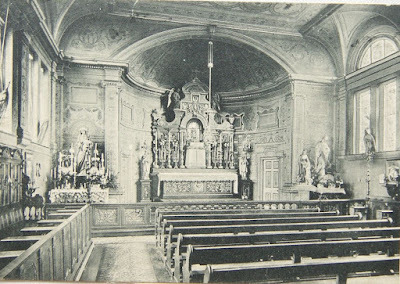 The damage was substantial and many of the nuns had to be re-located during the extensive restoration process. In 1993 Delilah Smith was appointed the school's first lay head, and remained in post until 2009. During that time she picked up an OBE for her work and saw the number of sixth form pupils soar from 300 to 800, in a collaborative partnership with the near-by St Bonaventure's. St Angela's continues to prosper today and is designated "Outstanding" by Ofsted. This post should be read in conjunction with the immediately previous one, on monuments in Forest Gate, that looked at; The Gurney Memorial in Stratford, the cairn in West Ham Park, The Joseph Fry water fountain on the corner of Capel Road and Wanstead Flats, the clock and drinking fountain, outside Forest Gate railway station and the synagogue memorial, in Earlham Grove. This article features more recent installations. Unlike the above mentioned, these are all made of less robust materials than stone. But like all of the stone monuments, there is also an on-going Samuel Gurney connection with them. The Gurney connection, first! The Woodgrange estate and much surrounding land was part of Samuel's local land portfolio, before it was gradually sold off by his grandson, following Samuel's death in 1856. The statue of The Preacher protruding from the Methodist church on Woodgrange Road was recently awarded Grade 11 listed status by English Heritage, which inspired us to find out more about it. As we have reported previously, the original Methodist church on Woodgrange Road was destroyed in the blitz, on 3 December 1940. When it was being rebuilt in the 1950's, its architects appointed Hungarian-born sculptor Peter Laszlo Peri to create a statue/wall relief on the main, front-facing, wall of the main church building. The resulting "Preacher" was unveiled in 1961 and is described by English Heritage as: "A striking long-limbed figure, grasping a prayer book. It is made of a dark mixture of concrete, resin and metallic powders, mixed by Peri and dubbed "Pericrete". Among Peri's other works are three sculptures on a housing estate in Vauxhall, dedicated to children who lost their lives in the blitz. They were created between 1949 and 1952. Peri has an interesting personal history. He was born Ladislas Weisz in Budapest on 13 June 1899, of Jewish parents. The family changed its name in the early years of the twentieth century, to sound less Jewish, because of the rise of anti-semitism in the city, in the years leading up to the First World War. Peter eventually fled persecution from Hungary in 1921, seeking refuge, ironically, in Berlin, where he began sculpting his revolutionary "Wall reliefs". Peri and his wife subsequently became communists and fled to Britain after Hitler's rise to power. He settled in London and worked in studios around the capital - finally in Camden Town. He was largely ignored by the British arts establishment during his lifetime, which some have put down to his communist sympathies. He became a British citizen in 1939 and took the name Peter Peri. He later became a Quaker. Peri subsequently undertook a number of post-war commissions and participated in exhibitions and arts exhibitions throughout the 1950's. He died on 19 January 1967, as a largely ignored, or under-rated, artist. These are in Earlham Grove, once Gurney land and named after Earlham Hall, Norfolk - his birthplace. The window is the altar window of the Church of the Holy Carpenter and was designed by Shingler and Risden Associates. The mosaic, according to tiles within it, was commissioned by Newham Council Leisure Services in 1996. 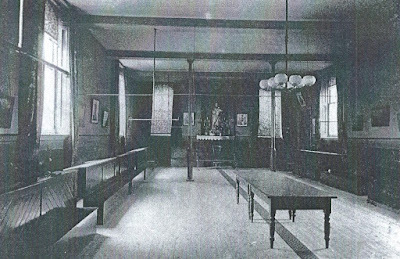 It seems to celebrate the activities that took place within the community centre, at the time. It appears to have been created by attendees at the Greenhill Centre, in Manor Park, according to tiles, within it. If anyone has more details about these artworks, we, and the staff at Durning Hall, would love to hear about them. This is situated on part of the former Hamfrith estate, which - of course - for a while was owned by Samuel Gurney. According to a plaque on it, the artwork was created by the local community and "commissioned by the Mayor of Newham and local councillors" in July 2013, to commemorate a major piece of work to strengthen the bridge. The mural features representations of the local area, including Wanstead Flats, the clock tower and Rotunda on Woodgrange Road, next to the station as well as local forms of transport. One panel on it is dedicated to the names of some of those involved in its creation. The mural replaces a former community mural, which was created, overwhelmingly, by children from Godwin and Woodgrange schools, which was damaged during the bridge strengthening. Other artwork from these two local schools could be found on the walls of Forest Gate station, on the bridge from the entrance to platform one. This, doubtless won't survive the current refurbishment work being undertaken there at present. Crossrail, however, have been swift to commission a piece of surreal art along the long brick wall adjacent to platform 4. This was put up in two days by an Italian artist, who prefers to create under the pseudonym Bifido, rather than under his own name, and some co-workers/artists. The piece, entitled "Meanwhile" is constructed from paper, tiles and glue, using a "paste-up" technique (otherwise known as the more down to earth "stick on the wall badly, then watch it start to peel off after a couple of weeks" technique, to most Forest Gate residents). The work features, among other objects, a giant snail, a man standing in a huge tea cup, and falling leaves, metamorphosing into butterflies, a few clocks and a train. Just out of vision, Salvador Dali can be sensed turning in his surreal grave. Looking at the spectator waiting for his train: an everyday repetitive sense of wait clashes with the speed of the train. Wait and speed are concepts at the core of this eclectic narrative: they combine and relate in an oxymoronic way. Until the new station artwork, this was Forest Gate's latest significant piece of public art, and of course it is situated on former Gurney land (see above for the connection)! The Community Garden steering group held a public competition last spring, seeking a designer /artist to offer a proposal for illustrating the rather stark and dull hoardings that surrounded the under-construction garden. The competition was won by local artist, Jim Valentine (see his website: here, for more details), for his work Metamorphosis. Over seventy members of the local community (named in a panel on the mural) took part in The Big Paint in September last year, to colour in Jim's design outline on the hoardings. The mural proved to be a great success and a colourful addition to the local area. Unfortunately, some of the panels were blown down in a storm at the turn of the year. There has been something of a stand-off between the Community Garden committee and local council over who will take responsibility for the damage and restitution. Fortunately a way forward seems to have been agreed. This will result in a replacement of some of the damaged panels, while leaving more openings in the fencing for public viewing of the rapidly developing garden project. This will be in response to local public demand which has sought better viewing facilities. 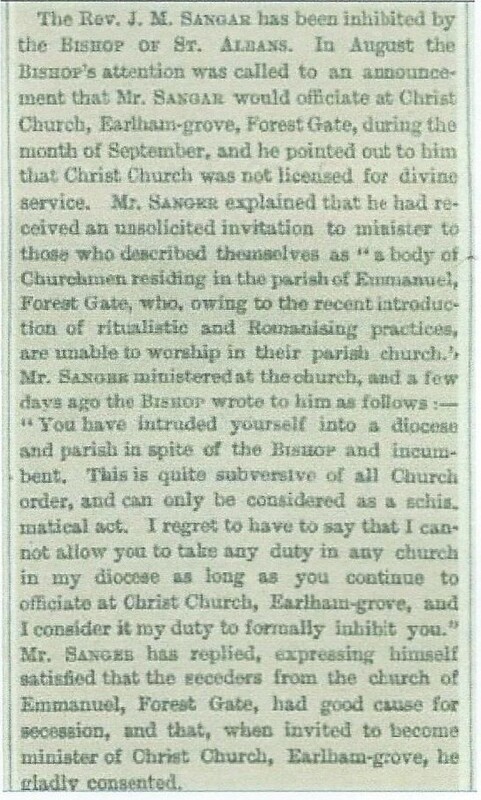 So, the last two posts have focused on a ghost running through them, a future post will address the life and Forest Gate times of Samuel Gurney. 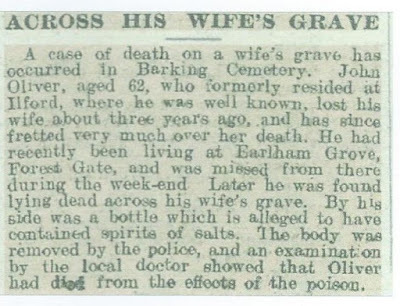 Footnote: We have not covered any of the many memorials/prominent headstones/ sarcophaguses in Forest Gate's cemeteries in this post, they have been covered elsewhere in this site on a number of occasions. Nor have we included a number of other, smaller, items of public interest - often details on walls or reliefs on the faces of buildings. Many of these have been recorded in an interesting, though slightly dated, website: Exploring London. They can be accessed here. This is the first of two articles looking at monuments and public art in Forest Gate. There is an unexpected, unifying, theme running through almost all of them. This article examines the chronologically earlier pieces, which are mainly the monuments, constructed from stone, of one variety or another. The next instalment will look at other public art forms, which have a much more temporary feel about them, as they have been created from less durable materials. Below we provide a round-up of what is known of Forest Gate's monuments - sadly, in some cases, not much! Although this is clearly not in Forest Gate, in a strange way it provides the link, which connects almost all the other monuments and art works covered in this and the following post. Samuel Gurney (1786 - 1856) has probably been Forest Gate's most significant resident, and will be the subject of a future post on this site. He was one of Britain's most important 19th century bankers and lived in what is now West Ham Park. He was brother to prison reformer, Elizabeth Fry, a prominent Quaker and played a leading part in anti-slavery work (including helping to fund the establishment of the African state of Liberia). Samuel was a significant figure in the story of education - both locally and nationally - and was a fierce public campaigner against capital punishment - an unpopular position to take at the time. He was also a major local land-owner and towards the end of his life owned almost half of what currently constitutes Forest Gate. Following his death in 1856, his grandson, who effectively inherited his estate, gradually sold much of it off. From those sales came the establishment of a number of local cemeteries, the old industrial school, now residential accommodation on Forest Lane, the Woodgrange estate, the "Forest Gate village" area, much of the housing to the west of Woodgrange Road, south of the railway, up to Atherton Road, as well as West Ham Park, itself. 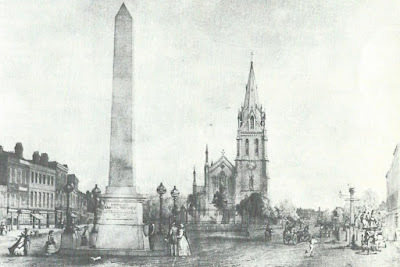 The obelisk and water trough, outside St John's church in Stratford is 40 feet high and made of granite. It was unveiled in 1861, having been designed by Gurney's fellow Norfolk-man, John Bell, whose other work can be seen decorating Kensington's Albert Memorial and the Museum of Childhood in Bethnal Green. The inscription on it reads: "In remembrance of Samuel Gurney, who died on 5th June 1856. Erected by his fellow parishioners and Friends (members of the Quaker faith) 1861. 'When the ear heard him, then it blessed him'". It has been a key landmark in the area for over a century and a half. This monument, near the main entrance to West Ham Park on Upton Lane, is all that remains of Ham House - Gurney's former residence. The cairn and fountain are constructed from rubble and remnants from the house, and located immediately in front of where it stood. 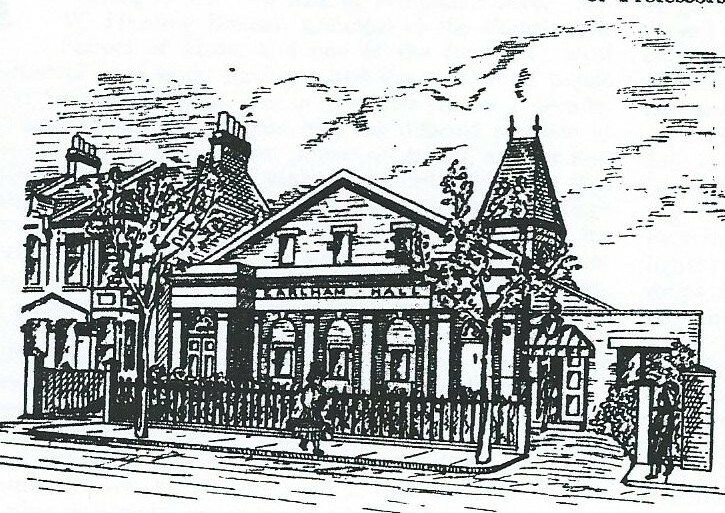 The house, itself, was knocked down in 1872, prior to the sale of the grounds surrounding it, by Samuel's grandson, John, to the Corporation of the City of London, for the establishment of West Ham Park. The Park , which was opened two years later by the Lord Mayor of London in a ceremony full of pomp, is probably Gurney's most obvious lasting legacy to Forest Gate. Another Gurney connection. Joseph Fry (1809 - 1896) was Samuel Gurney's nephew, being the sixth of Elizabeth Fry's children. He was brought up next door to the Gurneys, in The Cedars, on Portway - which later became the local Territorial Army headquarters (an ironic use for the former house of a Quaker family). 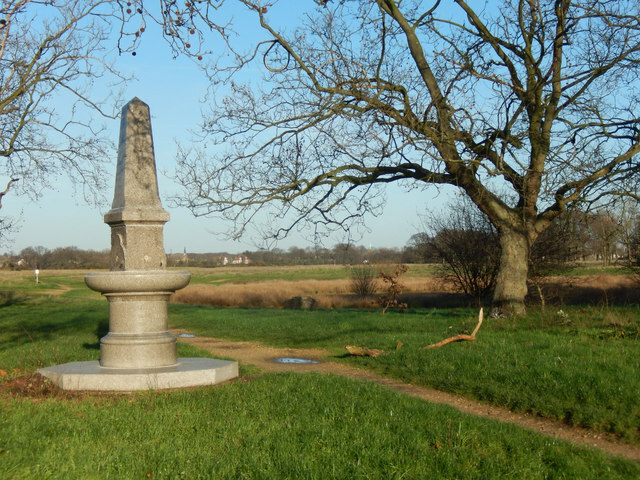 The fountain at the southern end of Wanstead Flats was erected in memory of Joseph, for his commitment to the Metropolitan Drinking and Cattle Trough Association. This body raised donations and for the construction of many drinking fountains, for people and horses in and around London, in the second half of the nineteenth century. In undertaking this work, Joseph was continuing the work of his uncle, Samuel Gurney, who took time off from his many other commitments to be instrumental in establishing the Association in the 1850s! The Association was originally started by Gurney and a colleague as a way of providing clean water for London's poor, and an alternative to beer, following a severe cholera epidemic in the early 1850s. As such, many of the original fountains were sited opposite pubs. The animal connection and troughs only came a decade later, and were developed under Fry's watch. The Flats' memorial to Fry was built from the proceeds of funds collected from an appeal launched as a tribute to recognise Joseph's work, after his death, in 1897. It has recently been cleaned, but the descriptive panels that were attached to it have been removed, over the years (any information on their fate?). Little else is known about this strangely located obelisk. Perhaps the district's best known and widely shared image. It was erected by the Metropolitan Drinking and Cattle Trough Association (see above, and the Gurney connection), following a donation by A Corbett around the turn of the 19th/20th century. The Gurneys had already sold the land on what is now the Woodgrange estate to Thomas Corbett in 1877 for £44,000. On Thomas' death in 1880, his son Archibald took over the development of the estate, until he left to pursue a career as a Liberal politician in Glasgow, around the turn of the century. The clock/trough/fountain is the only public reference to the Corbett family left within the area: the name "A Corbett" can be seen engraved on the base of the structure. It has been moved at least once in its 120 year existence, as can be seen from its positioning in the 1908 photograph above. Firstly, the road on which it is located. 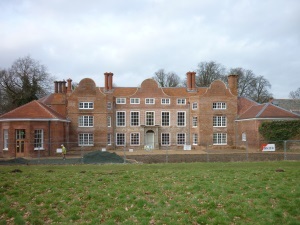 It was named after Earlham Hall, the Norfolk country house in which, yup, Samuel Gurney, was born. The road was built on former Gurney land. 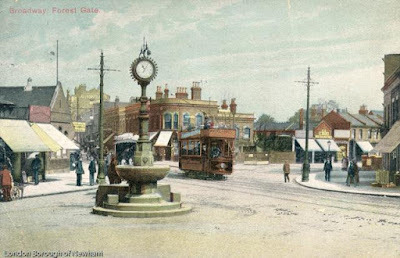 We have covered the history of the local Jewish community, which was concentrated in and around Earlham Grove, in some detail here. 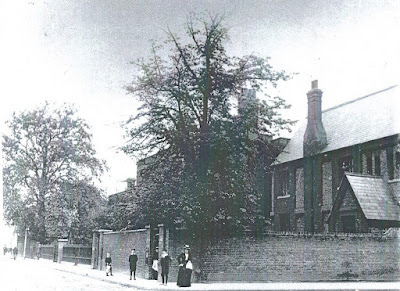 There was a synagogue at 91 - 95 Earlham Grove throughout the entire twentieth century. Attendances, however, dropped considerably after the movement of much of the local Jewish community into Essex, following the extension of the Central Line after World War 11. The house of worship, almost inevitably, closed as the active congregation dropped to barely a couple of dozen, in 2004. Following its closure, some remnants were salvaged from the building and turned into a small memorial in the courtyard of Adler Court, the social housing project that was built, to replace the synagogue. The housing development was named after a prominent local rabbi and the memorial incorporates the star of David that was prominent on the frontage of the building's Communal Hall, as well as plaques commemorating the opening and extension of the synagogue.